If you have ever been condemned as a scapegoat, or lauded as a “lily among thorns,” you have been influenced by the King James Bible. In a Durham Book Festival event organised in conjunction with Durham Cathedral and Sacristy Press, three authors and scholars came together to describe the impact of this translation. Clare Barker enjoyed digging into the roots this book has laid down in our language. Did you arrive “by the skin of your teeth” as you travelled the “straight and narrow” cobblestone road today? Have you “put your house in order”? Are you a “lily among thorns”? Whether you have, are, or will read the King James version (KJV) of the Bible, you know and use common phrases that it coined. The sold out crowd gathered in Prior’s Hall at Durham Cathedral heard these phrases along with their contexts as three authors shared their work exploring the legacy of the King James Bible. The setting was apt as King James I himself slept within these Priory walls on a trip to Scotland. Richard Noble started the evening by sharing tidbits from his new book, The Writing on the Wall: Everyday Phrases from the King James Bible. Richard’s book takes each of the sixty-six books of the Bible and describes one particular phrase and its history. For example, did you know that the phrase “set (or put) your house in order” is from a prophesy by Isaiah recorded in 2 Kings? Or that Martin Luther King, Jr. used this expression in a speech to decree the racism of the United States during the Vietnam War? King pointed out the hypocrisy of having both black and white soldiers living and fighting together in a foreign country while those same men, on home soil, would not be allowed to share even a neighborhood. Another example Richard shared is found in Daniel chapter 5. Daniel interprets a supernatural vision for King Belshazzar, saying you are “weighted in the balances” and “found wanting”. 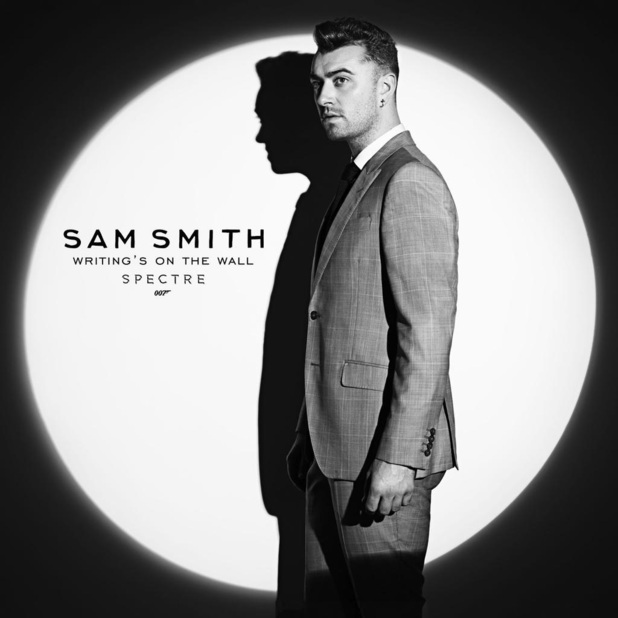 The phrase was used by Jonathan Swift in his 1720 poem “The Run Upon the Bankers” and, most recently, in the title soundtrack for James Bond’s Spectre, charting at number one for Sam Smith, “Writing’s on the Wall”. Dr. Lynn Machin presented A Sign of the Times: Unlocking Scripture with Familiar Phrases, asking if we are using these idioms in their intended ways. Lynn and a group of seven others in a Bible study group were discussing phrases that they regularly use without knowing their meanings, leading to the creation of their study book which Lynn edited. The book contains fifteen in-depth studies, exploring topics such as scapegoats. We may not know the root, but we still want to find a scapegoat in order to “wash our hands” and be “white as snow”—regardless of our beliefs about sin, we desire cleansing. The book provides historical information about the chosen phrases, locating them in context, and helping the reader to use the phrases wisely and with understanding. Crafting an historical context for the King James translation, Professor Alec Ryrie spoke last. Alec is Head of the Department of Theology and Religion at Durham and focuses on church history, specifically the history of the Reformation era and the emergence and development of Protestant beliefs. The phrases discussed are all part of a familiar group consciousness for modern English speakers. But their creation was sparked by the desire of a King to imprint himself on an important element of his society and “an attempt to unify the cacophony” of Biblical interpretation. The translators of the King James Bible were working in a new environment. They were countenanced by the King, something their precursor, William Tynedale, certainly did not enjoy. Freely using Tynedale’s translation of the New Testament which had been done without the blessing of Bishop Tunstall, alone, with secrecy, the translators were able to discuss and research their project resulting in an overall unified tone. While the unified tone of the King James version has had positive impacts, its hold as the Biblical translation wanes. Familiar phrases are widely used: Richard Noble believes a number of 400 or greater phrases can be traced to the KJV while only 200 or so common phrases and words can be traced to Shakespeare, but modern technology now allows the use of multiple translations and modern readers are enjoying the fresh perspective. To Alec Ryrie, this move harkens back to the time of Tynedale, pre-King James version, when each translator left his own unique imprint on his translation, allowing readers to consider and weigh the possibilities of each passage. Durham Book Festival ran from 6-17 October 2015; our reviews of many of the Festival events can be found here. Follow the organisers of the Festival, New Writing North, for more literary events throughout the year.